How long is the entire Ohio to Erie Trail? 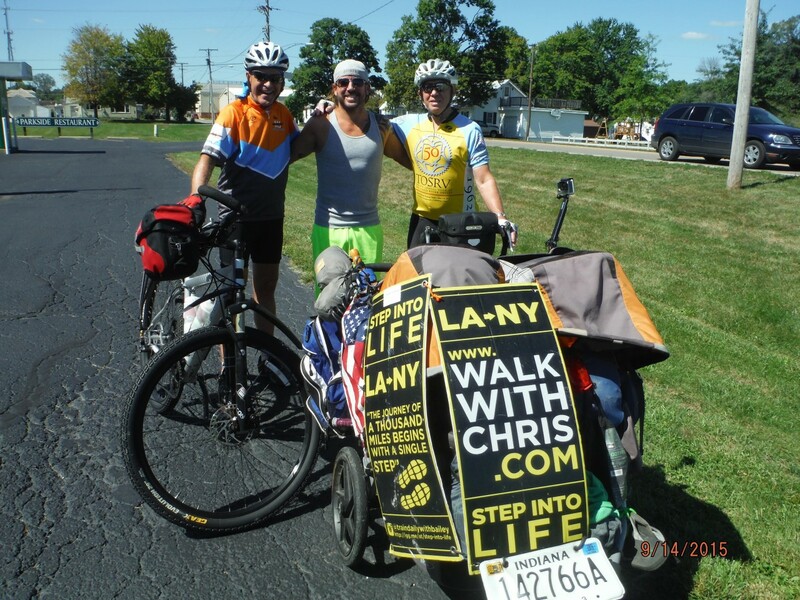 The Ohio to Erie Trail route is 326 miles one way between Cincinnati and Cleveland. As more off-street trail is added, the route actually gets shorter between Cincy and Cleveland! Our last statement was 330 but we reduced road miles and added rail trail miles in a couple places in 2016. The OTET is Ohio Bicycle Route 1 and the standard bicycle signs have been placed along the route to help travelers since so many spur trails have been connected to the OTET. Most of it is also designated US Bike Route 21 by Ohio and the Federal Government. How much of the Trail is completed as off street? At least 83% of those miles are completed on a collection of off-street but hard surface/paved trails. Some of the OTET is on roads with the lowest traffic we could find in the areas. In 2017 another 8 miles of OTET on the Holmes County Trail extension from Glenmont to the Bridge of Dreams opened. Where can I find the routing for the trail across Ohio? Our Tour Guide is your absolute best bet if you are seeking this information. Combined with up-dates on the web site and in each set of the tour guides, you will be well informed! Also glance at the web site for alerts to temporary trail closings. Our interactive map on the web site is also a good way to find your way and plan your trip. Go to our store and purchase the four map set. GPX files for the trail are available on the Cyclelifehq website and mobile app. What information do the maps include in addition to the route? Each of the tour guide maps in the set have names of the trails that make up the OTET, mileage distances between turns, major cross street route numbers, town, village and city names and a general description on each map panel that explains most of the turns. We have also included in this new guide many service symbols all along the route for bike shops, restrooms, parking, trail head, grocery stores, food, lodging, camp grounds, ice cream shops (of course! ), historic sites and more. Where can I obtain a listing of services along the OTET like lodging, food, bike shops etc.? I hear the route is changing? The OTET is still changing as more and more trail segments replace street routes. 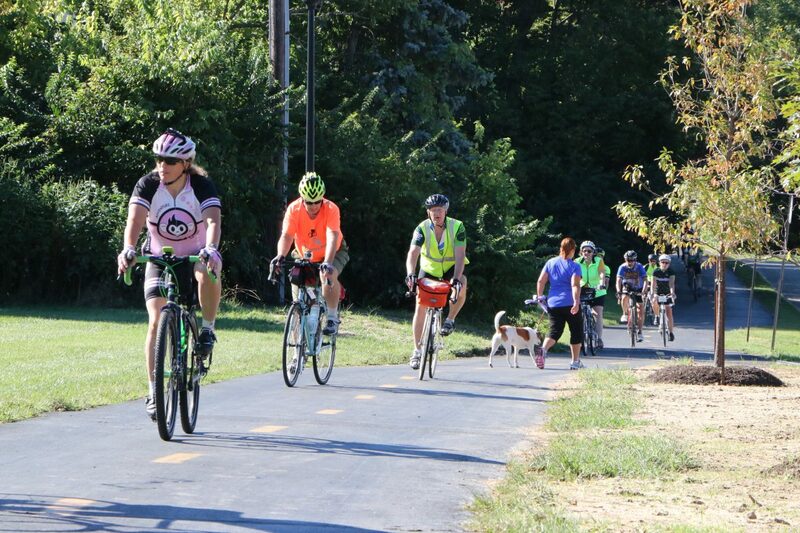 In early 2016 a major change took place in Columbus when Bike Route 1/OTET now goes into downtown on a connector path from the Lower Scioto River Greenway Trail and then north on the Alum Creek Greenway Trail. This removed the long time Olentangy Trail from the OTET Route and eliminated several miles of street travel. Also, in Knox County-Mt. Vernon a rail crossing stood in the way of completing the trail segments there and that opened for travelers eliminating all street travel in Mount Vernon. In Holmes County just north of the Bridge of Dreams on the Mohican Valley Trail (paved 10-2015), a paved eight-mile connection between Route 62 and Glenmont was completed in 2017 all but eliminating travel on Route 62. Village of Galena – with the opening of the Galena Brick Trail, the route through town has been eliminated meaning travelers will go around Galena, the restaurants and the poplar tourist attraction, the Mud Flats. The ALT route would take travelers through town and connect back to the route. Bridge of Dreams to Glenmont on the Holmes County Trail – as travelers leave Knox County on the Mohican Valley Trail heading north after the covered Bridge of Dreams the current route takes them on Route 62 and then a couple of lightly traveled roads (county 25 and 6) through Amish farm land into Killbuck and the Holmes County Trail. . Currently that is the road route of the OTET. In 2017, a new 8 mile rail trail will open between Knox County and Glenmont, then we will use County 520 into Killbuck. That is on our current Tour Guide BUT paving completion has been slow. The Amish country road route will become an ALT route of about 12 miles when the Holmes Country Trail is opened between Glenmont and Knox County. 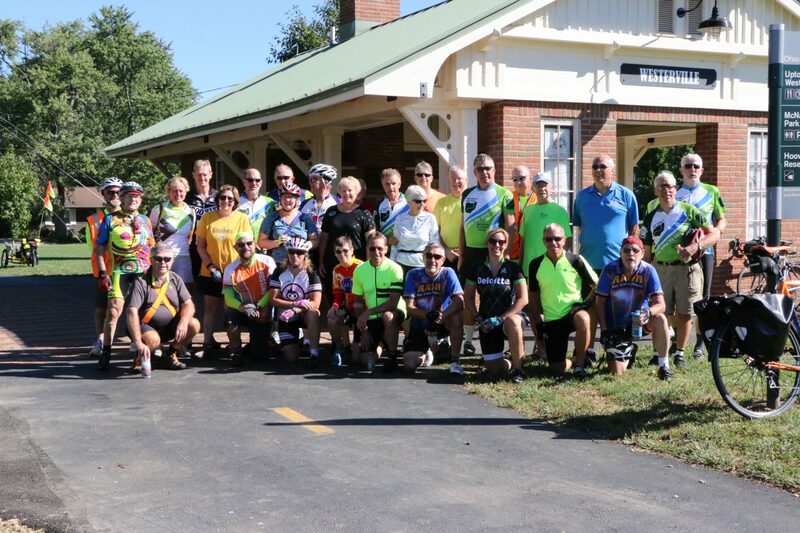 Orrville to Clinton – the original OTET route as designed by our founder Ed Honton, was to go through Orrville (home of Smucker’s) and on to Clinton. The current route goes to Dalton, on the Sippo Valley Trail, to Massillon (due east) and then north on the Ohio & Erie Canalway Towpath. We may be a few years from making the trail connections through Orrville in Wayne County on north to Clinton, but that would become the original route with the beautiful Sippo Valley Trail to Massillon and north the ALT. Both will delight travelers and also provide some variations in the ride. What is the surface of the Trail? Most of the current Trail is hard surface known popularly as “asphalt”. Some sections are concrete. A few sections remain as well packed crushed limestone and some are hard-packed dirt. All are navigable by bicycle. Our recommendation is that regular bicycle touring or road tires are fine on the OTET, but you may find skinny racing-type tires may not be satisfactory in some areas. Where can I stay overnight if I’m doing longer sections of the Trail? We have compiled a list of lodging places (camping, hotels, motels, B&Bs) in close proximity to the OTET. If you find others that are suitable, please let us know. You can see them on the Tour Guide maps as well. Go to Planning My Trip. Where can I get more information on things to see and do along the Trail? As a resource for Ohio tourism and a map of the state of Ohio go to: http://www.ohio.gov/tourism/ click on “Traffic Conditions and Road Maps”; then click on “Official Ohio transportation map | Order a free copy” Points of interest are listed on the Ohio to Erie Trail page on the Cyclelifehq website and mobile app. Do you have an OTET jersey or T-shirt that I can buy? Go to the “Shop” page to see the full list of merchandise that we sell. In the Shop we offer a great OTET jersey for $100. $7.50 sales tax for Ohio residents for a total of $107.50 for Ohio residents. There is no sales tax charged for orders from out of state. Jersey orders are placed with the manufacturer as they are sold. There is not a physical store for trying them on. Once you place the order, please allow 4-6 weeks for delivery via UPS from Borah Teamwear. See the “Shop” page for sizing and other details. The Shop also has an OTET t-shirt for $25.00 plus shipping & handling and they are shipped usually within a week. The t-shirt is 60% cotton, 40% polyester. Go to the Shop and click on the t-shirt for more information. Do you sell other Ohio to Erie Trail items? Yes, we offer stickers in 2 sizes (4 x 6 inch and 2 x 3 inch). The bumper stickers are high quality laminated material and each large sticker is $4 and each small sticker is $3. Ohio residents pay $4.30 with sales tax and $3.23 for the smaller sticker including sales tax. Orders sent out of state have no sales tax added. Don’t forget the set of four OTET Maps. Please go to the “Store” page to see the full list of merchandise that we sell. How many days should we plan to travel the entire length of the OTET? The entire length of the OTET is about 326 miles. Along with how far you can travel in one day on a relatively flat terrain (about 85%) and if you are carrying your gear, most travelers plan 4 to 7 days. Making sure lodging is available along the way is also important. Travel too fast and you’ll miss a lot of Ohio beauty! Can I Be Recognized for Riding all 326 Miles? We are designing a web page where individual names of people who ride, walk, job or wheelchair the 326 miles can have their names, year, and state listed in the “326 Club.” A new OTET 326 sticker is available for distribution. Simply send us an e-mail and give us your name, your state, and the year you traveled the entire 326 miles of the OTET! What about the OTET through the major cities? Much of OTET travels through the cities of Cincinnati, London, Columbus, Westerville, Mt. Vernon, Massillon, Akron and Cleveland and is on off-street, trail pavement. However there are some sections that require travelers to use caution on the city streets in each of those municipalities. Sometimes this may be for a few blocks or a couple miles. In almost all cases, bike lanes are marked. The route is marked with Route 1 Bike signs and OTET. Enjoy the cities of Ohio and simply watch for vehicles and be careful as you would in any urban area.